The South Mayo Family Research Centre offers a Full Service to enquirers. The centre is among the busiest of the Irish Family History Foundation’s network of centres, because of the high volume of emigration from South Mayo since the time of the Great Famine and the resultant high volume of enquiries. The centre has computerised over one million records. The Centre specialises in the production of individually researched Family History Reports researched by a team of dedicated and professional genealogical researchers. You can commission your exclusive Report by simply filling in the application form on their website, www.mayoroots.com. Each Family History Report will incorporate facsimiles of certain relevant genealogical documents in addition to maps which show the locations(s) where your ancestors resided. You will learn not only who your ancestors were but also about their lifestyles, the society they were a part of, what they did for a living, what their native locality was like, the origin and meaning of their surname, and other interesting facts that will enhance your knowledge of your South Mayo ancestry. In addition to being compiled from church and civil records of birth, baptism, marriage, death and burial, your family history will, where possible, be augmented with property records, gravestone inscriptions, census returns, local newspaper abstracts and shipping records. 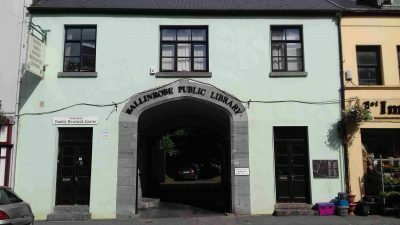 Couple this vast wealth of information with a team of professional and experienced researchers and you can be assured of a full and in-depth report on your South Mayo family’s history.